Tourism’s coming of age puts the sector in a position of global responsibility to face up to challenges ranging from climate change to social inclusion, according to the World Tourism Organization (UNWTO). In addition, tourism’s growth, unlike almost any other economic sector, offers the economic and social resilience needed in times of uncertainty. 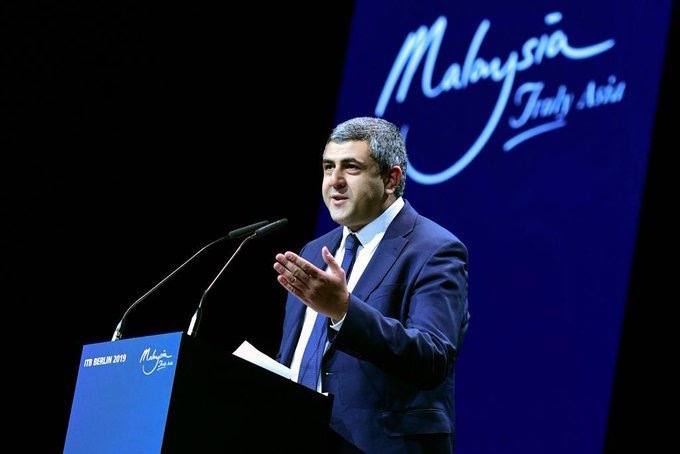 These were the central messages in a speech by Zurab Pololikashvili, the UNWTO’s secretary-general, during the opening ceremony of travel trade show ITB 2019 in Berlin, earlier this month. With international arrivals reaching 1.4 billion in 2018, Pololikashvili underscored how tourism “keeps growing ahead of the world economy, which we almost doubled last year”. Addressing tourism authorities and industry leaders from around the world, Pololikashvili reminded them that “big numbers also entail big responsibilities”. To “grow better” has been UNWTO’s constant message over the past year, calling on the need of private sector commitment and appropriate public sector governance to ensure that tourism can deliver on its wide sustainability potential. “Tourism has a say when it comes to facing up to global challenges,” he said, underscoring how tourism’s “cross-cutting nature and deep social rooting like almost no other activity provides the resilience that economies need and everybody is craving, especially true in times of uncertainty”. Pololikashvili praised the support of tourism at the highest political level in Germany, represented at the opening by the Minister for Economic Affairs and Energy. Peter Altmaier said that “Tourism is a key economic activity, its part of global economic integration and contributes to four per cent of Germany’s GDP and provides hundreds of thousands of direct and indirect jobs”. The minister ensured Germany’s support to UNWTO in supporting tourism for sustainable development. The remarks coincide with UNWTO’s special 2019 focus on education, skills and jobs, a joint task among all tourism stakeholders to “enhance the competitiveness and sustainability of tourism destinations”, Pololikashvili said, reminding that “tourism’ cannot prosper in isolation and therefore needs partnerships and collaboration to strive, so that everybody wins”.